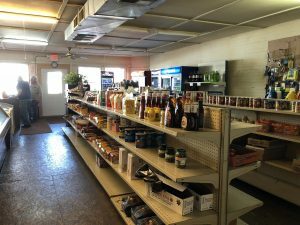 Bryant’s Grocery, located at 16716 KY-416, is Hebbardsville’s favorite store. It was established in 1930, and Jerry and Bonnie Knott have owned it for five and a half years. 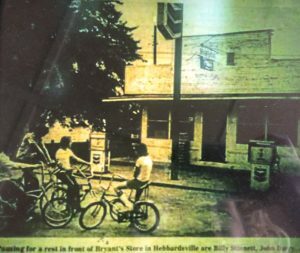 The name “Bryant’s Grocery” was grandfathered in when they became the owners. Jerry and Bonnie already lived in Hebbardsville and saw an opportunity when the store came up for sale. “We joked that we would give up the factory to flip burgers and ended up buying it,”says Bonnie. They previously worked at Gibbs Die Casting for almost twenty years for Bonnie and eleven and a half years for Jerry. 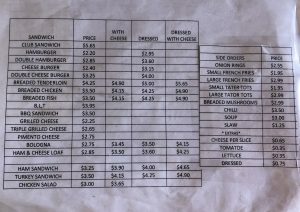 Bryant’s offers a large menu from breakfast to lunch. A favorite breakfast item is the Breakfast Special, which consists of biscuits, gravy, sausage, and egg all mixed together. 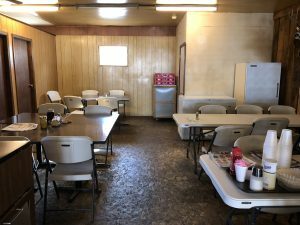 “The Downtown Diner started serving it and called it ‘The Hebbardsville Special’ after they tried it here.” A favorite lunch item is their double cheeseburger. Other sandwiches include club sandwiches, chicken sandwiches, grilled cheese, fish, chicken salad, pimento cheese, barbecue, and B.L.T. Did you know you could also get a breakfast bologna sandwich here too? 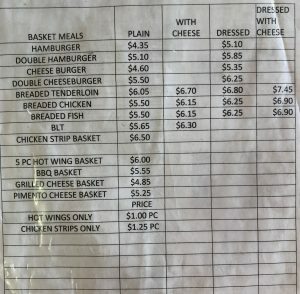 Their basket meals include hot wings, barbecue, fish, chicken, hamburgers, and cheeseburgers. 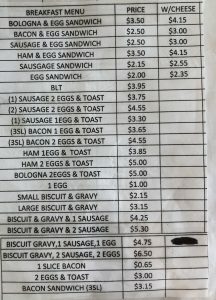 For breakfast, you can try biscuits and gravy, sausage, ham, eggs, toast, and bacon. 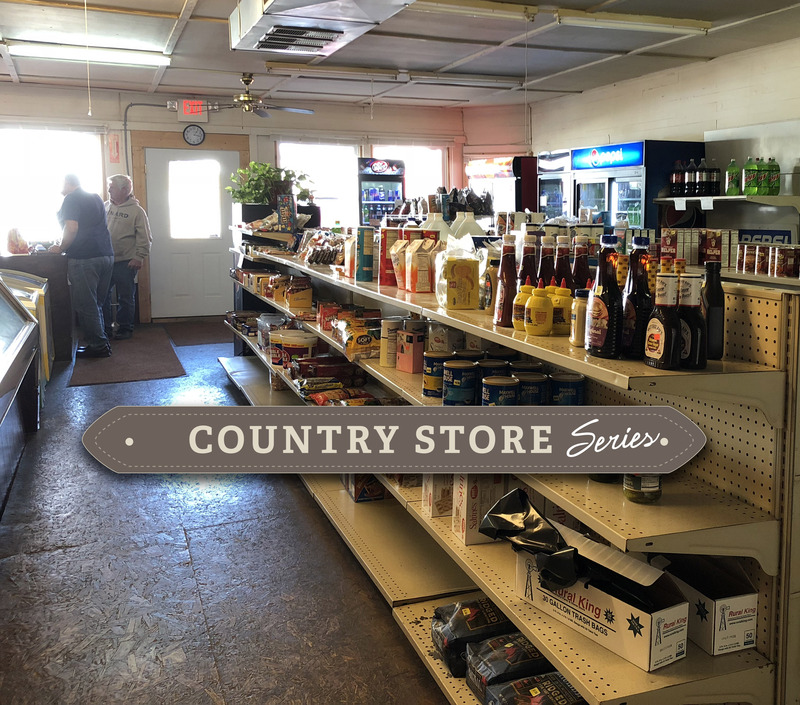 “If it wasn’t for our community and our people, we wouldn’t have a country store. We are thankful for our customers and our neighbors who watch over us and take care of us.” To visit Bryant’s Grocery, you can stop by between 5:30 a.m. and 6 p.m. on Monday through Friday, and 7 a.m. to 5 p.m. on Saturday. The grill shuts down at 5:25 p.m.on weekdays and 4:30 p.m. on Saturdays. Click here to read more local stories, or keep scrolling to browse the full menu!